Detroit-born Diana Ross — former lead singer of the Supremes and Motown music icon — is turning 75 years young today, and Motown Museum is celebrating. Tonight exclusively, the museum has arranged a special screening of “Diana Ross, Her Life, Love and Legacy” at Royal Oak’s Emagine Theatre. The documentary follows the nearly 60 year music career of Ross, starting from her 1960 breakout after winning a talent competition in Windsor, Ontario, signing a contract with Motown Records, to her success as an international multi-platinum record-making artist. Throughout the film, the singer’s children, Ross and Evan and daughters Chudney and Tracee Ellis Ross, will be delivering video interviews about their mother’s impact on the music industry. The fun starts before the 7:00 p.m. screening with an exclusive video message delivered by Motown Museum board member Rhonda Ross, daughter of Diana Ross and Motown founder Berry Gordy. Show-goers will have the chance to sing some of Ross’s classics with Detroit’s LGBTQ+ group Prism Men’s Chorus before launching into a special recorded performance of “Happy Birthday,” which will be shared with Miss Ross via social media. 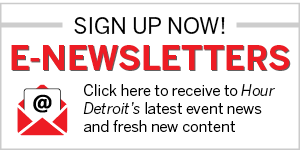 Rita Ross, the Detroit singer’s sister, will be in attendance to meet fans during the event. The screening at Emagine is part of a year-long celebration for Ross’s 75th or diamond birthday. The legend will be performing her “Diamond Diana & Family & Friends 75th Birthday Celebration” show at Hollywood Palladium in Los Angeles tonight. “This exclusive experience provides our local Motown fans a unique way to celebrate Ms. Ross’ year-long ‘Diamond Diana’ birthday festivities,” Motown Museum Chairwoman and CEO Robin Terry says. “We are committed to creating opportunities of connection between fans and bringing the enduring magic of Motown to life through immersive experiences.” Doors open for the event at 6 p.m. and tickets are limited. 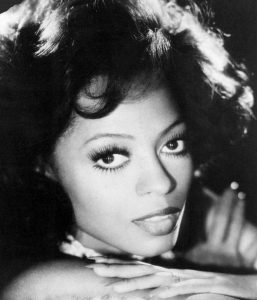 What’s your favorite Diana Ross song? Tell us in the comments below.